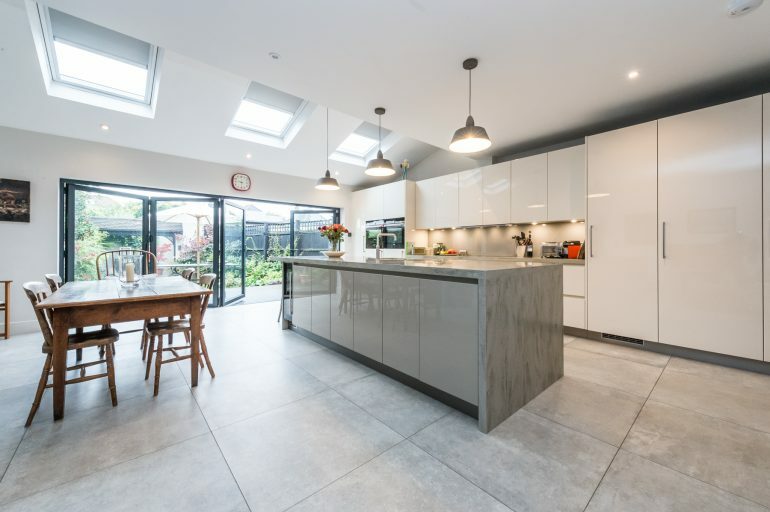 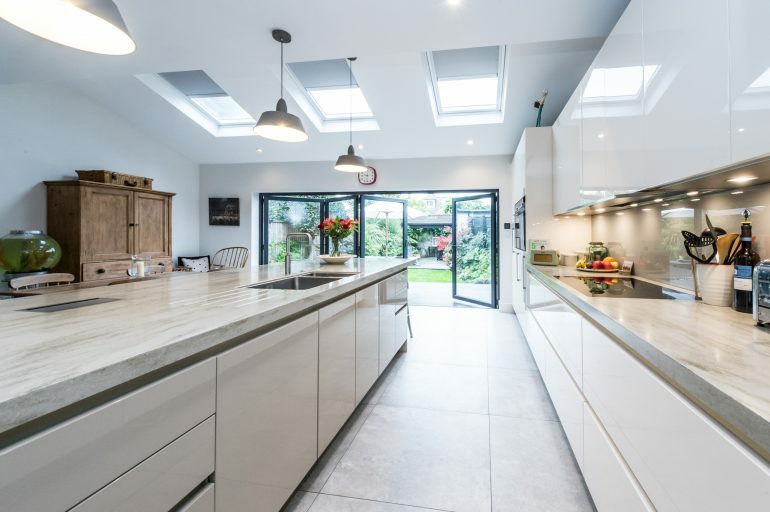 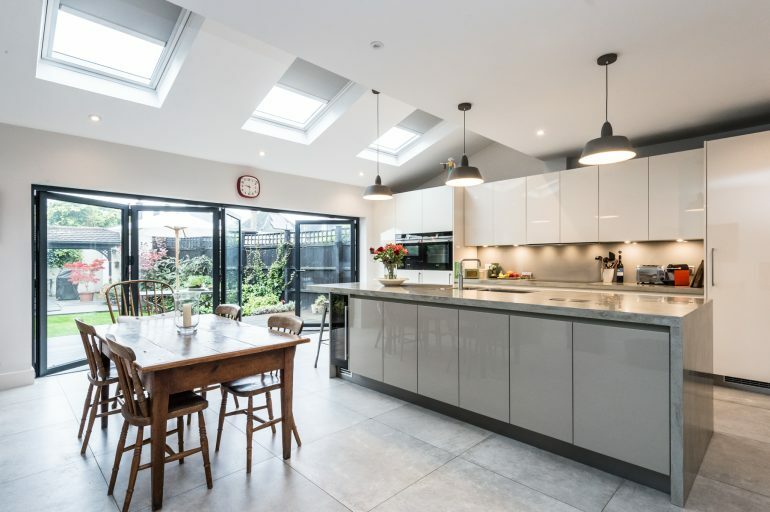 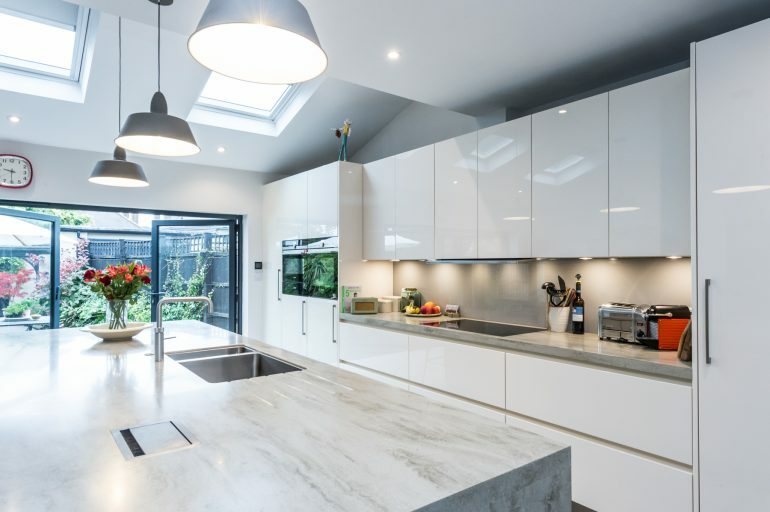 The client was adding a large full width extension to the rear of the house and wanted the room to serve three functions – kitchen, sitting room and dining room. 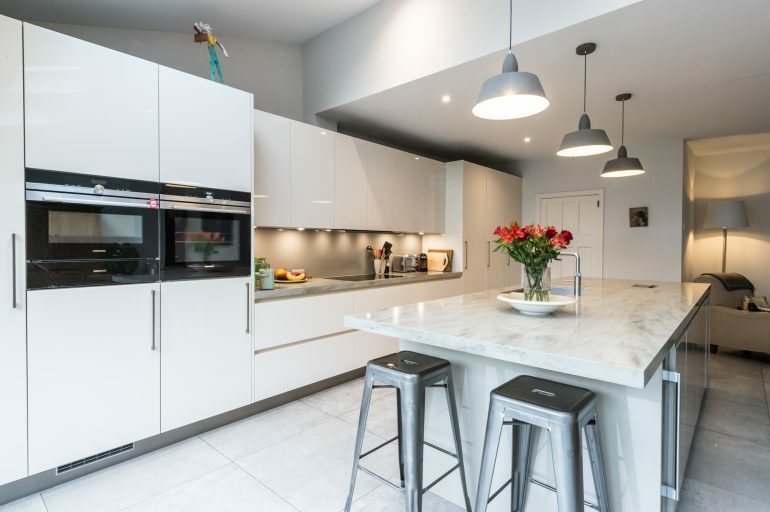 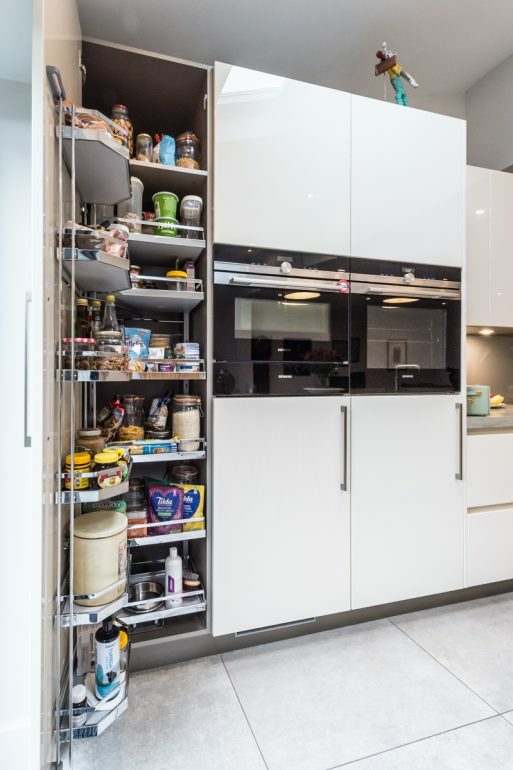 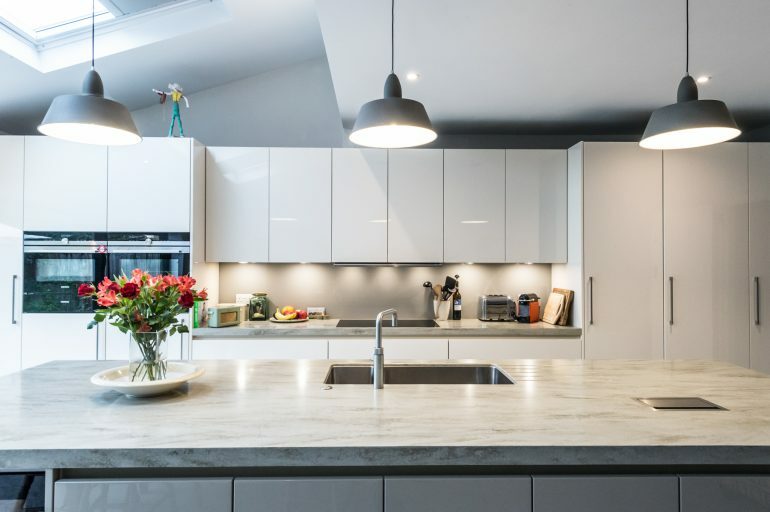 The designer Mark managed to incorporate this requirement into his design whilst still keeping a fully equipped kitchen with a large quantity of storage, concealed washing and drying machines and a breakfast bar. 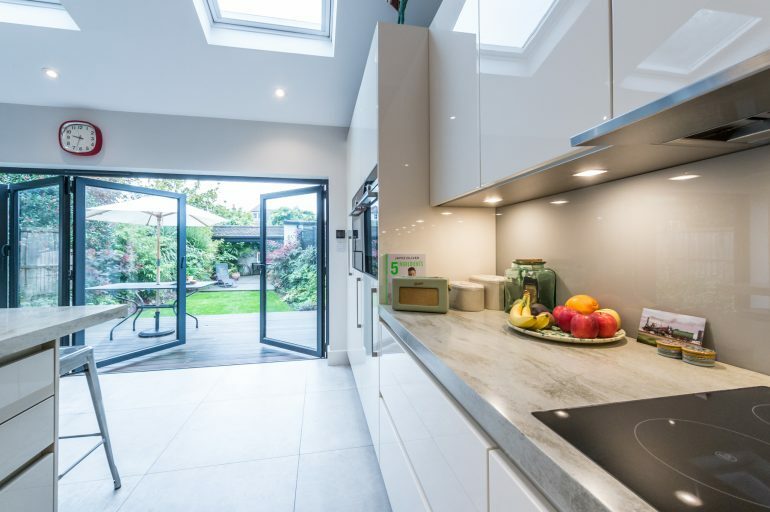 The rear of the room features fully opening sliding doors leading onto the garden.